On Thursday Sept. 3, the Society of Women Engineers (SWE) and Women in Engineering (WIE) hosted their annual Tea With the Dean event. 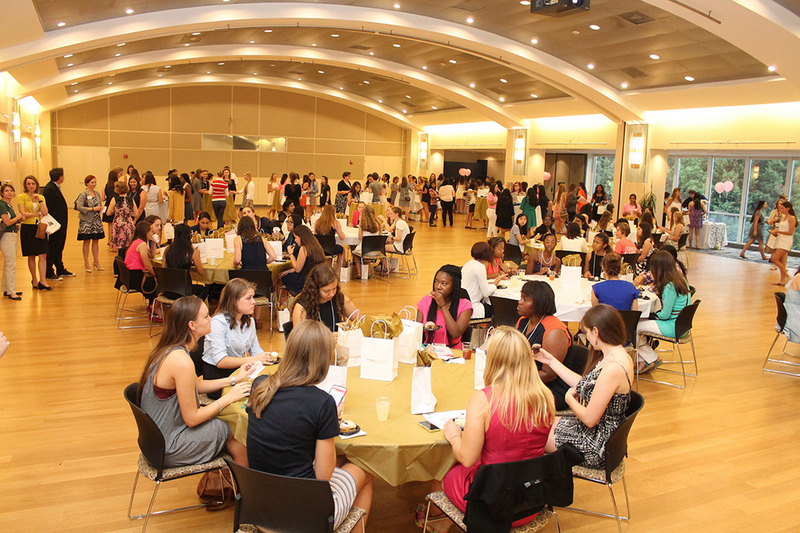 Tea with the Dean is a welcome event for all freshman and transfer female engineering majors to join the community of women engineers, a minority group at Tech. With a total of 450 women attending the event — slightly over one hundred more women than last year — the only place where the event was lacking was in chairs and gift bags. According to Dean May, 41 percent of incoming freshmen are women, and 31 percent of freshmen engineering students are women. “We had our College of Engineering Dean, Gary May, come in to speak,” said SWE’s Secretary, Hannah Chen, second-year IE. “It was very well organized — and everything was pink themed! Everyone seemed to really enjoy the event, and I just love talking to freshmen because they’re so enthusiastic about everything. Christine Valle PhD., the Director of Women in Engineering, made her inspiring opening remarks and was followed by guest speaker, Sandra Pettit PhD., a professor at Tech’s school of Chemical and Biomolecular Engineering. She defied odds when, as a child, she was told that women could not be engineers. After attending engineering school, she met Mae Jemison, the first African American woman in space, which further inspired to become an engineer and ultimately impact the lives of others.